We initiated ribosomal crystallography about three decades ago, and determined the 3 A structures of functionally active conformations of the small and the large ribosomal subunits in 2000 and 2001. Further analysis revealed the mechanism of peptide bond formation and illuminated the fashion of the ribosomal involvement in cellular regulation. In addition, by investigating crystallographically the modes of binding of over a dozen antibiotics, we elucidated the structural basis for their action, as well as for their selectivity, and illuminated possible pathways for acquiring resistance by pathogenic bacteria. Research in the laboratory is focused on the molecular mechanisms that control carcinoma progression and metastasis. Our research is concentrated in three areas: (1) Understanding the collaborative impact of paracrine and systemic signaling on tumor growth and progression. (2) Identification of mechanisms through which paracrine and systemic signals can induce epithelial cells to enter into a mesenchymal/stem-cell state. (3) Ellucidating the complex molecular mechanisms that regulate carcinoma invasion and metastasis. 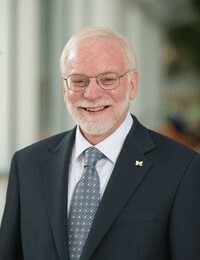 Thomas Brabletz is Professor for Molecular Oncology and Chairman of the Dept. of Experimental Medicine, University Erlangen, Germany. Focusing on malignant cancer progression, in particular mechanisms of invasion and metastasis, he aims to integrate basic and clinically relevant cancer research. He proposed a concept of transient rounds of EMT and MET, resulting in aberrant cellular plasticity and the generation of ‘Migrating cancer stem cells’ as driving force of metastasis. Currently his major interests are in uncovering underlying mechanisms, such as feedback loops between EMT-inducers, oncogenic pathways and microRNAs, as basis for novel therapeutic strategies to fight cancer metastasis. Pr. 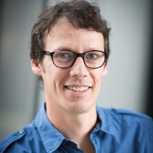 Claassen’s research aims at elucidating the composition of heterogeneous cell populations and how these implement function in the context of cancer and immune biology by jointly evaluating single cell and genome wide measurements. 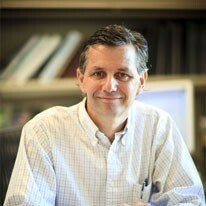 The Claassen group builds on concepts from statistics, machine learning and mathematical optimization to develop probabilistic approaches to describe biological systems, learn these descriptions from data and to design experiments to validate hypotheses following from computational analyses. 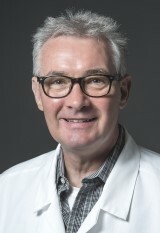 In addition to his clinical duties in the division of Oncology, Dr. Clarke maintains a laboratory focused on two areas of research: i) the control of self-renewal of normal stem cells and their malignant counterparts; and ii) the identification and characterization of cancer stem cells. A central issue in stem cell biology is to understand the mechanisms that regulate self-renewal of hematopoietic stem cells, which are required for hematopoiesis to persist for the lifetime of the animal. Until recently, the molecular mechanisms that regulate adult stem cell self-renewal were not known. His laboratory recently found that the proto-oncogene Bmi-1 regulates stem cell self-renewal via an epigenetic mechanism. By investigating the pathways upstream and downstream of Bmi1, the laboratory is actively investigating the molecular pathways that regulate self-renewal. Our laboratory investigates the interactions between genetically altered cancer cells and the ostensibly normal host tissues in which tumors arise, progress and develop to metastatic disease. We focus on the cross talk between malignant cells and the vascular system, immune cells, and secreted extracellular vesicles (exosomes), and the mechanisms whereby these heterotypic interactions regulate tumor progression in experimental cancer models. This is being studied primarily in transgenic mouse models of breast, lung and pancreatic neuronedocrine carcinogenesis, in which both malignant and host cells are genetically engineered to be visualized or depleted, or to modify their expression of coding or non-coding genes of interest. Furthermore, we examine how the interplay between the tumor and the host can be harnessed for improving tumor response to anti-cancer therapies. We are studying and targeting a number of important developmental signaling pathways such as Wnt, Hedgehog and Notch. These signaling pathways play critical roles during embryogenesis in pretty much every organ of the body where they modulate proliferation or differentiation of numerous cell types. It is however becoming increasingly clear that these pathways are involved in tumorigenesis when reactivated in adult tissues through mutations or overexpression of pathways components. This work has led to the development of vismodegib, a hedgehog pathway inhibitor, which targets Smoothened. Vismodegib was approved in 2012 by the FDA for the treatment of basal cell carcinoma (BCC), which has metastasized to other parts of the body, relapsed after surgery, or cannot be treated with surgery or radiation. We are also involved in a number of earlier stage initiatives using genetic mouse models of cancer to better predict drug efficacy, sequencing the genome of various tumor types to better understand how tumor develop and how to target them as well as cancer and functional genome projects to identify novel drug targets in various therapeutic areas. My lab measures the patterns of clonal evolution that define carcinogenesis and develops novel mathematical tools for analysis and prediction. By characterising tumour evolution, we aim to find better ways to determine prognosis and more effective ways to treat cancers. The Heard group combines genetic engineering and genomics with a range of cell biology and imaging approaches to study the role of chromatin modifications, chromosomal organisation and non-coding RNAs in gene regulation and expression. In particular, the Heard group focusses on understanding the processes of X-chromosome inactivation. This includes the role of Xist RNA and its partners; the cis-acting DNA sequences and trans-acting factors; the mechanisms of gene escape and the functional relevance of escapees; and autosomal monoallelic gene expression in development and disease. Neuroblastoma (NB) is an embryonal cancer of the sympathetic nervous system observed in early childhood and characterized by a broad spectrum of clinical behaviors, ranging from spontaneous regression to fatal outcome despite aggressive therapies. In order to improve the prognosis of this pediatric cancer and to identify new therapeutic targets, a better understanding of the mechanisms and genes implicated in oncogenesis is required. My research program aims at identifying the genes and mechanisms involved in NB development and/or progression and to characterize the genes linked to tumor predisposition. In 2008, we characterized somatic and germline gain-of-function mutations of the ALK (Anaplastic Lymphoma Kinase) gene, encoding a tyrosine kinase receptor, in sporadic and familial NB cases. Our data also provided a strong molecular rationale for ALK targeted therapy in NB. My project focuses on two main aspects: (1) characterization of the molecular mechanisms associated with ALK alterations in NB oncogenesis; (2) identification of other genes implicated in the neoplastic transformation. Cancer arises through an evolutionary process in which normal cells acquire mutations that erode growth controls, leading to the expansion of aberrantly proliferating cells. Such mutations activate oncogenes or inactivate tumor suppressors, bestowing new capabilities to developing cancer cells. Our research is based on the premise that the path of cancer evolution dictates a tumor’s subsequent response to therapy and creates unique vulnerabilities that represent therapeutic opportunities. We use mouse models, RNA interference (RNAi), and cancer genomics to identify components of tumor suppressor gene networks and understand the molecular determinants of treatment response. We also use temporally regulatable RNAi technology to identify genes required for tumor maintenance and to explore the mechanisms involved in tumor regression, including both cell intrinsic and extrinsic mechanisms. Our goal is to gain a more comprehensive understanding of tumor suppressor networks and identify cancer maintenance genes that will be useful therapeutic targets relevant to specific cancer genotypes. Mutational activation of RAS genes is detected in approximately 25 percent of human cancers. However, to date, activated RAS oncoproteins remain intractable pharmacological targets. Research in the McMahon Lab focuses on the importance of RAS effectors, such as the RAF family of protein kinases and phosphoinositide 3’ (PI3’)-kinases in the aberrant physiology of cancer cells. 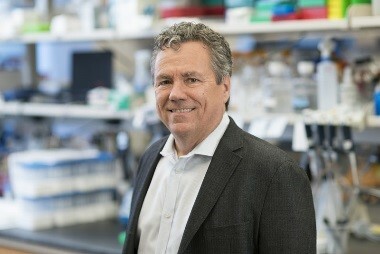 To do so, the lab employs genetically engineered mouse (GEM) models of human cancer, patient-derived xenografts (PDXs) and cultures of cancer cells in combination with various genetic or pharmacological to explore how signaling pathways contribute to cancer cell initiation, progression, and response to therapy. The McMahon lab’s translational cancer research program focuses on the mechanisms underlying the development of metastatic melanoma, lung, and thyroid cancer. Although these malignancies are derived from distinct cell types, they share a striking number of common genetic alterations especially activating mutations in KRAS, BRAF, PIK3CA, or CTNNB1 (b-catenin). In addition, many of these tumors display alterations in tumor suppressors such as CDKN2A, PTEN or TP53. To do this, Dr. McMahon’s laboratory works with cultured human cancer-derived cells and with genetically engineered mouse models of human cancer. Such model systems have demonstrated considerable value in the design and evaluation of new diagnostic, prognostic, and therapeutic tools to treat patients with cancer. Our research group focuses on the analysis of pathways that underlie the genesis, progression and maintenance of cancer. The goal is to understand how the genes that are implicated in cancer control fundamental cellular processes in normal cells. At the same time, we wish to understand the mechanisms by which non-mutational (i.e. epigenetic and post-transcriptional) events interfere with these natural processes to bring about tumour development and to affect therapy outcome. We are particularly interested in the concept of aberrant RNA biology in cancer and the targeting of cancer cell-specific malignant RNAs. 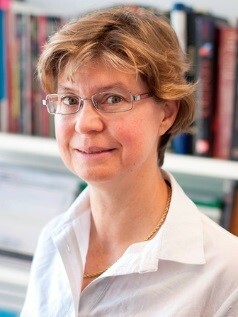 Serena is a CRUK Advanced Clinician Scientist and an Honorary Consultant in Clinical Genetics. Serena qualified in medicine from the University of Cambridge in 2000. She undertook a PhD at the Wellcome Sanger Institute (WSI) in 2009 exploring breast cancer using whole genome sequencing (WGS). She demonstrated how detailed downstream analyses of all mutations present in WGS breast cancers could reveal mutation signatures, imprints left by mutagenic processes that have occurred through cancer development. In particular, she identified a novel phenomenon of localised hypermutation termed “kataegis”. Our research is centered on understanding the molecular mechanisms by which impairments in accurate control of mRNA translation, cell growth, and overall cellular protein synthesis rates lead to cancer. While it is commonly accepted that oncogenic signaling deregulates the transcriptional profile of neoplastic cells, our research has demonstrated a pivotal role for impairments in the translational efficiency of specific existing mRNA species at the post-transcription level towards cancer initiation. Global analysis of the deregulated proteome during cancer formation utilizing novel polysome microarrays pioneered by our lab indicates that control of protein production provides a highly specific, robust, and rabid response to oncogenic stimuli. The mRNAs translationally affected encode proteins involved in cell-cell interaction, cell differentiation, signal transduction, and growth control. These findings strongly suggest that a radical shift in the composition of mRNAs associated with actively translating polysomes may lead to an immediate neoplastic phenotype upon an oncogenic lesion. Our research is uncovering that the direct effect on the proteome may serve as common mechanism elicited by multiple oncogenic signals (i.e. PTEN/AKT/TOR, Ras, Myc) to cause cellular transformation and may overshadow the effect on the transcriptosome. 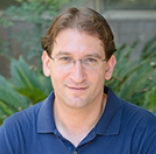 The Tirosh lab is combining computational and experimental methods to study human tumors as a complex ecosystem in which diverse cancer and non-cancer cells interact and collectively determine tumor biology and response to therapies. We leverage single cell technologies, computational approaches and clinical collaborations to analyze the diversity of cells within human tumors. Our focus is on identifying important tumor subpopulations such as cancer stem cells, drug resistant cells, invasive cells and immune cells that respond to immunotherapies. We then study their function, regulation and vulnerabilities, with the ultimate goal of developing better cancer treatments. 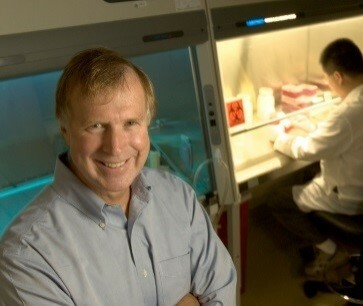 The Wicha laboratory is a leader in Cancer Stem Cell (CSC) biology. According to the ISI Citation Index, Dr. Wicha is among the most highly-cited investigators in the field of CSCs. His group was part of the team that first identified breast CSCs. Dr. Wicha’s laboratory identified a number of stem cell markers and developed in vitro and in vivo models to isolate and characterize these cells. These research models and resources have been widely adopted by other investigators. His laboratory subsequently elucidated a number of intrinsic and extrinsic pathways which regulate self-renewal and cell fate decisions in CSCs. Recently, the Wicha laboratory has focused on translating his pre-clinical research findings into the development of clinical trials designed to target breast CSCs.